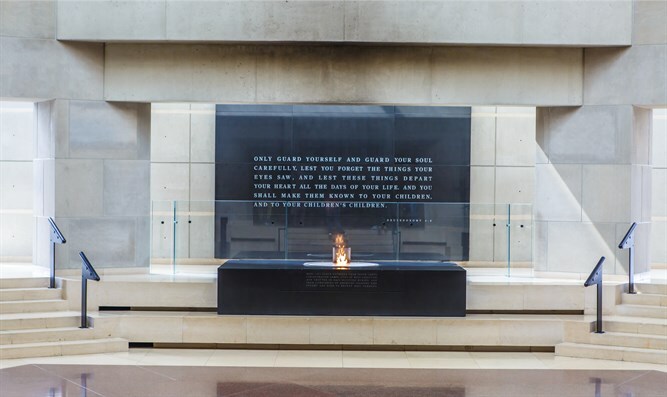 Part 1 of a 3 part series on the U.S. and the Holocaust, currently the subject of an exhibition at the Holocaust Museum in Washington, D.C. in which the facts brought here are obscured. 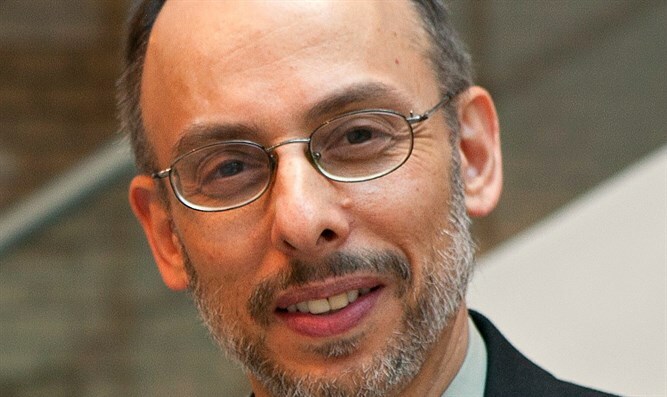 Dr. Medoff is founding director of The David S. Wyman Institute for Holocaust Studies, and author or editor of 19 books about Jewish history and the Holocaust. His latest book is Too Little, and Almost Too Late: The War Refugee Board and America’s Response to the Holocaust. For over a century, the United States had an open-door immigration policy, welcoming newcomers from around the world in almost unlimited numbers. In the late 1800s and early 1900s, however, a number of prominent American anthropologists and eugenicists began promoting the idea that Anglo-Saxons were biologically superior to other peoples. This racialist view of society reshaped the public’s view of immigration in the years following World War I. The shift in attitudes took place at the same time that Americans were becoming increasingly anxious about Communism, as a result of the establishment of the Soviet Union. The combination of racism, fear of Communism, and general resentment of foreigners created strong public pressure to restrict immigration. In 1921, Congress passed—and President Warren Harding signed into law—the Immigration Restriction Act. This legislation stipulated that the number of immigrants admitted annually from any single country could not exceed 3% of the number of immigrants from that country who had been living in the US at the time of the 1910 national census. If, for example, there were 100,000 individuals of Danish origin living in the United States in 1910, the maximum number of immigrants permitted from Denmark in any future year would be 3,000. The Johnson Immigration Act of 1924 tightened these regulations in two important ways. The percentage for calculating the quotas was reduced from 3% to 2%, and instead of the 1910 census, the quota numbers would be based on an earlier census, the one taken in 1890. The restrictions were intensified in order to reduce the number of Jewish and Italian immigrants, since the bulk of Jews and Italians in the US had arrived after 1890. The solution he proposed was dispersal and rapid assimilation: “The remedy for this should be the distribution of aliens in various parts of the country.” Writing in the Macon Daily Telegraph in 1925, FDR said he favored the admission of some Europeans, so long as they had “blood of the right sort.” He urged restricting immigration for “a good many years to come” so the United States would have time to “digest” those already admitted. The immigration system that was adopted in the 1920s was made even more restrictive by President Herbert Hoover in 1930. Responding to the onset of the Great Depression, Hoover instructed consular officials to reject all applicants who were “likely to become a public charge,” that is, dependent on government assistance. It was left to the consuls to make that determination on a case-by-case basis. ...In 1933, large numbers of German Jews urgently began looking for countries that would shelter them from the Nazis —and US consular officials in Germany urgently looked for ways to reject their applications. The Roosevelt administration inherited this harsh system and made it worse. When Adolf Hitler rose to power in Germany in 1933, large numbers of German Jews urgently began looking for countries that would shelter them from the Nazis —and US consular officials in Germany urgently looked for ways to reject their applications. By crafting a maze of bureaucracy and unreasonably rigorous requirements, these officials ensured that most Jewish refugees would never reach America’s shores. Prof. David S. Wyman characterized those restrictions s “paper walls” in his 1968 book of that name. Those walls ensured that the quotas would almost never be filled. The German quota was 25,957. Just 5.3%, or 1,375, of the quota places were used in 1933, Hitler’s first year in power. Of the next 12 years, the German quota was filled in only one. Places that were unused at the end of the year did not spill over into the next year; they simply expired. In 1934, a total of 3,515 immigrants filled 13.7% of the quota; the next year, 20.2% of the quota was filled (4,891 immigrants); and in 1936, the total was 24.3% (or 6,073 immigrants). In most of those 12 years, less than 25% of the quota was filled. As the Nazi persecution of Jews intensified, the US quota system functioned precisely as its creators had intended: It kept out all but a relative handful of Jews. The visa application form, which had to be filled out in triplicate, was more than four feet long. Its length, however, was the least of the difficulties applicants faced. To begin with, the “likely to become a public charge” clause posed a kind of Catch-22. The applicant had to prove he would have a means of support in the US—but foreigners were not permitted to secure employment while they still lived abroad. Typically, the way to satisfy this requirement was to provide an affidavit from an American citizen guaranteeing financial support until the immigrant found work. Obviously, many German Jews did not have American relatives or friends. Even for those who did, however, not just any relative would do. When New York Governor Herbert Lehman asked FDR in 1935 about the seemingly extraneous visa requirements, the president replied that guarantees offered by anyone other than a parent or child would be treated skeptically, because “a distant relative” might not feel any “legal or moral obligation toward the applicant,” as closer relatives presumably would. In the case of 19-year-old Hermann Kilsheimer, for instance, three relatives did not suffice. He presented the American consulate in Stuttgart with affidavits from his brother-in-law and two cousins, all gainfully employed American citizens, pledging to support him. The cousins’ affidavits were rejected on the grounds that they were not close enough relatives, and the consul decided that Hermann’s brother-in-law earned too little to both support his own family and pay for Hermann’s tuition if he chose to attend college. Faculty members at accredited European universities who were offered positions at American universities were eligible for non-quota visas. However, when the Hebrew Union College established a college-in-exile and began inviting European Jewish scholars to its faculty, the Roosevelt administration threw up an array of roadblocks. One distinguished German Jewish scholar was disqualified on the grounds that he was primarily a librarian rather than a full-time professor. The State Department also accepted the Nazi regime’s downgrading of the Higher Institute for Jewish Studies, the Hochschule für die Wissenschaft des Judentums, from Hochshule (an institute of higher learning, or college) to Lehranstalt (a lower-level institution of learning; an academy), which made its faculty members ineligible for non-quota visas because their home institution no longer was considered to be at the level of a university.